Each year, thousands of pounds of plastic bottles are dumped into landfills instead of recycled and add up to billions of pound of waste in the oceans. In fact, there are city-sized islands made entirely out of trash. This is just one reason why you need to start using reusable water bottles. Plastic bottles comprise a large portion of plastic waste and only one in five bottles are properly recycled. 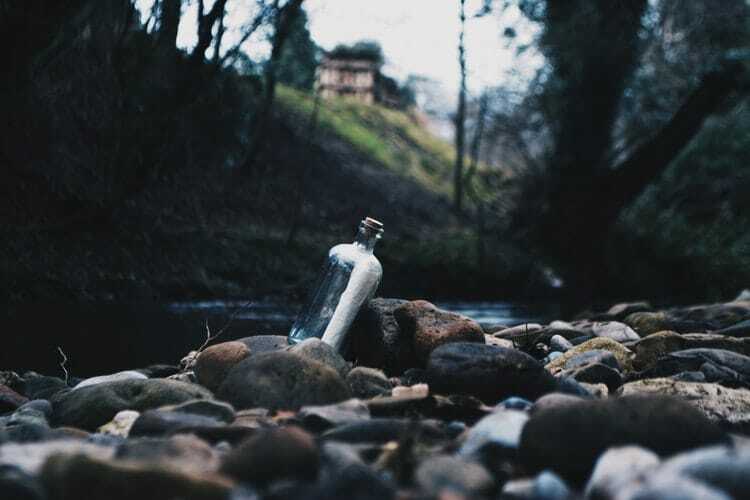 Did you know that plastic bottles can take up to 1,000 years to decompose? As they break down, they release toxic substances into the earth’s sediment and water reservoirs. One way we can help alleviate environmental degradation is through the use of reusable water bottles. The U.S. alone uses 17 million barrels of oil each year to create 50 million disposable water bottles. 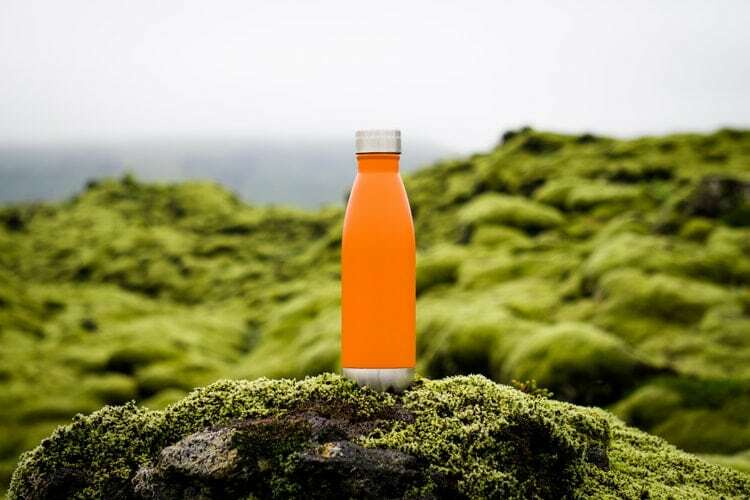 Switching over to reusable water bottles would decrease needless oil used, reduce greenhouse gases, and waste from irresponsibly disposing of plastic bottles. As we previously mentioned, the U.S, uses 17 million barrels of oil per year to create 50 million disposable plastic water bottles. People recycle less than 1/5 of these properly. You can put an immediate end to your own wasteful practices. To help you better understand the impact of plastic bottle waste per year, visualize bottles lined up in a row. A row of plastic bottles would wrap around the earth well over 190 times. Moreover, the plastic we place in landfills takes up to 1,000 years to biodegrade. Have you seen the Pixar movie Wall-E? An earth filled with trash doesn’t seem like a too distant future. Does it? Aside from environmental benefits, you can save money by using reusable water bottles. Each week, the average American spends about $5.00 on bottled water. This is enough to pay off your reusable water bottle in a month or less. All in all, you’ll save at least $200 a year by bringing your own water to drink. Prices for bottled water are notoriously expensive, especially in the airport. Here’s a pro tip. Bring your own reusable water bottles with you and refill it when you get past airport security at a water fountain. Know exactly where your water is coming from. It’s also important to know exactly what you’re putting into your body - especially the things you can’t see. There is almost always somewhere to refill your reusable water bottles. Despite what you may have heard, tap water is remarkably safe to drink across the developed world, particularly in most parts of the United States. Strict laws regulate the cleanliness of drinking water. Research indicates that some people drink bottled water because they believe it is higher quality than tap water. However, in most cases, that’s simply not true. In fact, much of the bottled water you drink is sourced from filtered tap water in your city. It’s important to note that the Environmental Protection Agency regulates the U.S. public water system. The EPA conducts numerous tests for bacteria and toxins in the water. Daily results for these tests are available online. Disposable plastic bottles contain a chemical known as Bisphenol A (BPA) which can pose a serious threat to your health. Research shows that BPA has been linked to hormonal issues and even cancer. Making the switch to reusable water bottles that are BPA free contributes to a green, clean earth and keeping you healthy. As we mentioned before, about 25% of the bottled water on the market is actually just filtered tap water. A study conducted with Boston University by the site Hydration Anywhere revealed some interesting information. In their study, they conducted a taste test of both tap water and filtered, bottled water. Only one third of taste testers could tell the difference between the two. 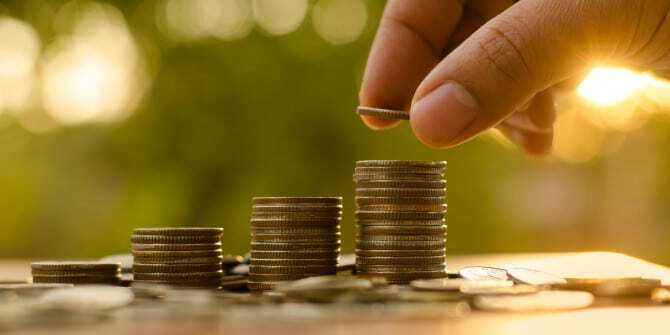 Why should you pay for something that can you can get from your house? 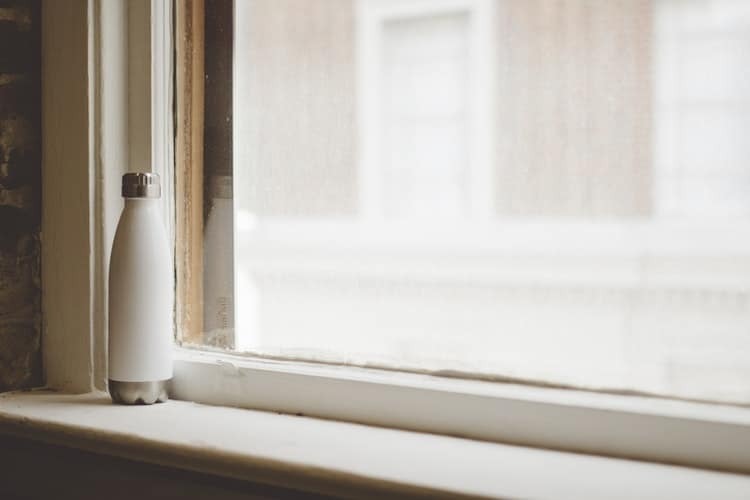 If drinking tap water is still a point of concern for you, consider investing in a home water filter. Reusable water bottles are more than eco-friendly. They’re convenient. They can often store much more water than a disposable bottle and keep it cold or hot as needed. In addition, you don’t have to worry about your BPA-free reusable water bottles leaking chemicals after being exposed to sunlight or heat. Besides, you don’t have to limit yourself to just water. The right kind of insulated bottle will allow you to carry any kind of liquid and keep it cool. Bring lemonade with you on a hot summer day. Bring your bottle of iced coffee to work in the morning for an extra bit of energy. Don’t limit yourself. Just remember to drink a healthy amount of H20. Reusable water bottles aren’t messy. They don’t leak or break easily. Many are stainless steel and built for camping, road trips, or travel. Basically, they’re built to take a punch or two. If you maintain it, a single reusable water bottle could last you for quite a few years. You could buy a good bottle today and still be using it a decade later. The best part is you can know for certain that it won’t bend or break in your bag and leak out over all your belongings. When it comes to reusable water bottles, looks aren’t everything but they sure do help. Purchasing a reusable water bottle shows you not only care about the environment but you also care about your personal health. Since you’ll be bringing this bottle everywhere you go, you’re going to need one that’s stylish. Luckily for you, the market is wide. It’s easier than ever to purchase items like this that match your personal aesthetic. Consider the bottle something like a fashion accessory. Let’s be honest. Reusable water bottles are so much more convenient. If you have one and remember to use it, you’ll always have a drink you need it or if a friend wants a sip. Better yet, you know what its contents are and you’ll be able to reuse it the next time. If it is properly cared for, a water bottle is a lasting investment in your everyday convenience. 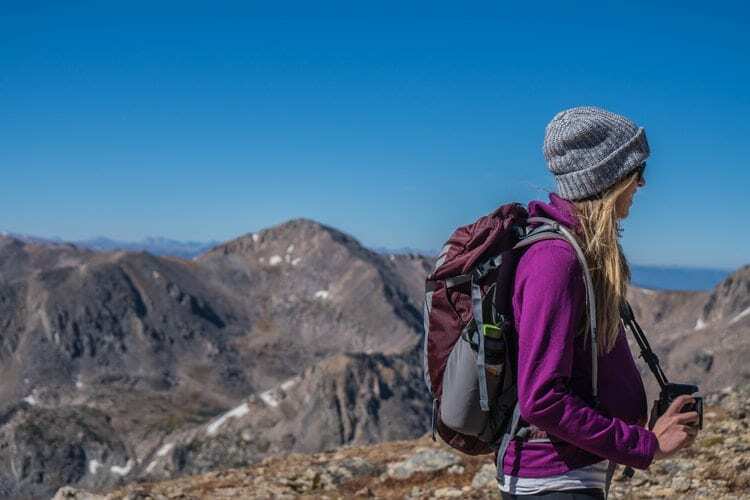 We’ve compiled a list of the best reusable water bottles to keep you hydrated on your next adventure. 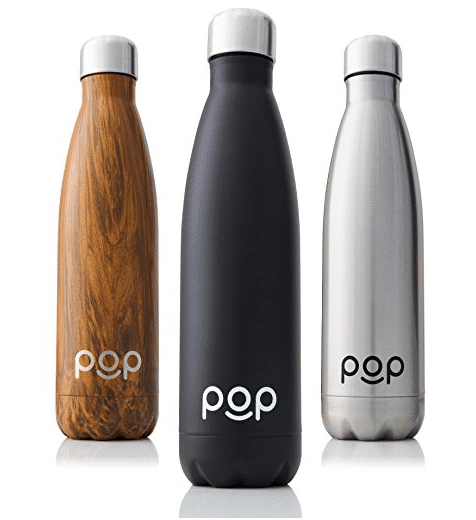 POP Design bottles are the right solution to stay cool in the summer heat and get warm and cozy in the winter months. Use them year-round for your daily hydration needs and enjoy ice-cold drinks for 24 hours and steaming hot deliciousness for 12 hours. Ideal for use during daily activities such as exercising & hiking, your commute & at work, while shopping and studying. 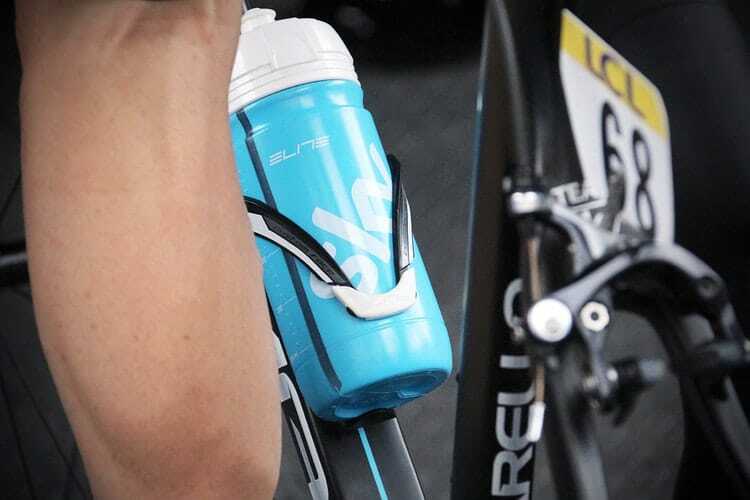 They make leaking, sweaty water bottles a thing of the past. You can put your filled POP bottle upside down in your backpack safely – without worrying about spills. Maintaining your stainless steel bottle is almost as easy as throwing a plastic bottle into the trash. Regularly rinse it with some warm soapy water and give it a good scrub with your bottle brush. Get the thermal properties of an insulated vacuum bottle with the lightweight, flexible features of a plastic bottle with Polar Bottle Insulated Water Bottle. The 24 oz. size, the first size they made and a top seller today, is the way active people hydrate. Take it everywhere you go, from a run to a drive to a bike ride. Wide mouth accommodates ice cubes and makes it easy to clean. Foil layers reflect solar rays for additional thermal protection. Polar Bottle water bottles are and always have been 100% BPA-free and phthalate-free. Constructed of durable, lightweight and FDA food grade approved polyethylene. Polar Bottle Insulated Water Bottles are proudly made in the USA to reduce environmental impact and support local economies. They aim to create products that bring positive, long-term benefits to the lives of our customers and the health of our planet. BPA-free and phthalate free, our water bottles come with a lifetime guarantee, designed to last for years. If you want to make sure you've got a cold drink ready at the end of your hike, this is your bottle. The vacuum-insulated steel Chute keeps things hot for up to 6 hours and cold for up to 24-even longer if you add ice. The bottle features a high-flow spout and a cap that fits neatly into the handle to stay out of your way when you're drinking. 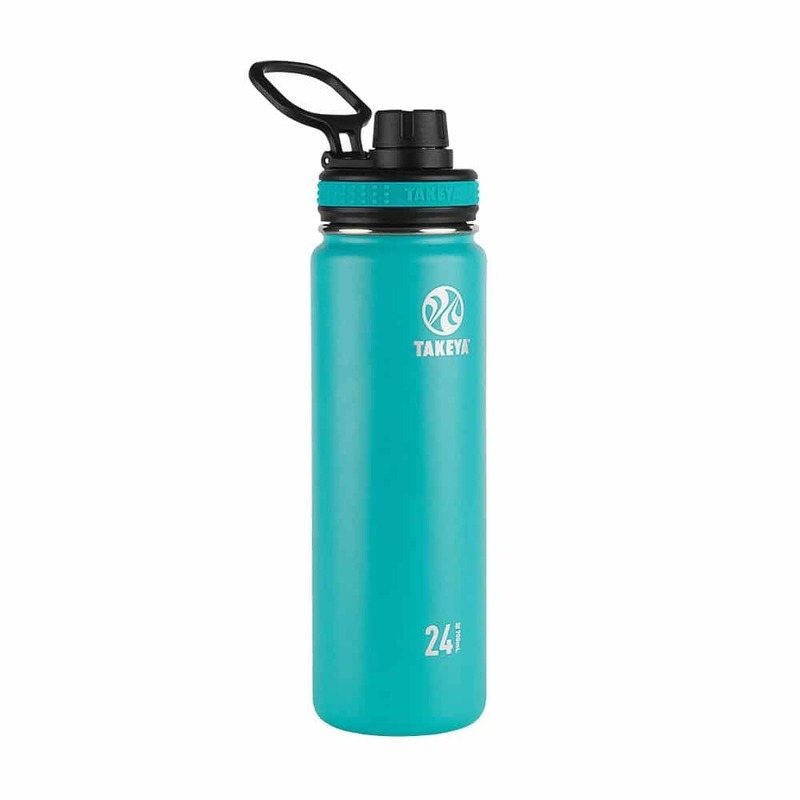 The double-walled design keeps condensation from collecting on the outside of the bottle, and the powder-coated paint job keeps things colorful while giving you a little extra grip. 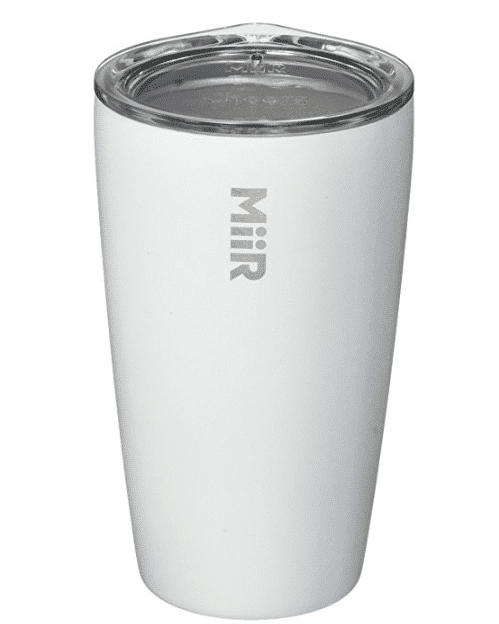 The MiiR Vacuum-Insulated Tumbler is Inspired by the timeless paper cup, MiiR's Stainless Steel Tumbler is simple, easy to travel with, and fits comfortably in both your cup holder and daily routine. A clear lid is included with these insulated tumblers. Comes in sizes 6 ounce, 8 ounce and 12 ounce. Your purchase of this Tumbler funds trackable clean water & health projects. Count on ice in the forecast. 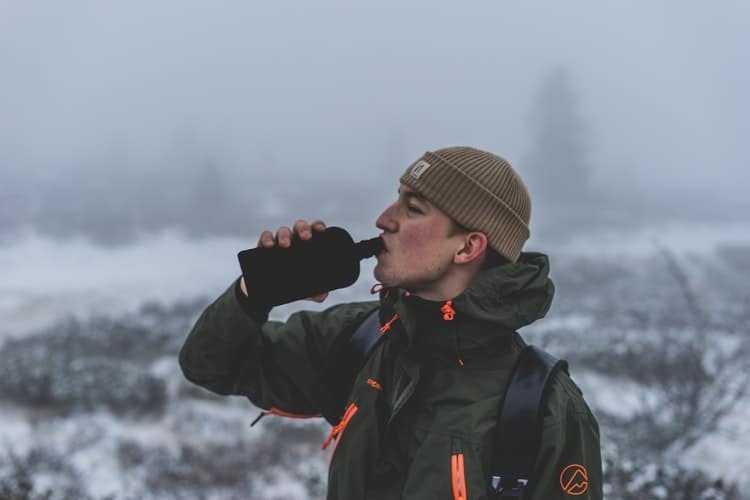 Staying hydrated is easy when you’ve got the Hydro Flask for a portable thirst-quenching travel buddy. Whether you’re headed to the gym or a quick jaunt across town, you can easily take your refreshment with you. The 18/8 stainless steel double wall vacuum insulation technology will keep cold liquids chilled for up to 24 hours, while hot liquids remain hot for up to 6. The Standard Mouth opening is large enough to fit most ice cubes, but small enough to sip from on the go. Double wall vacuum insulation keeps your ice cubes intact and your drink icy cold for up to 24 hours. It's large enough to hold water for the day, yet it fits easily into a pack, side pocket or car cup holder. 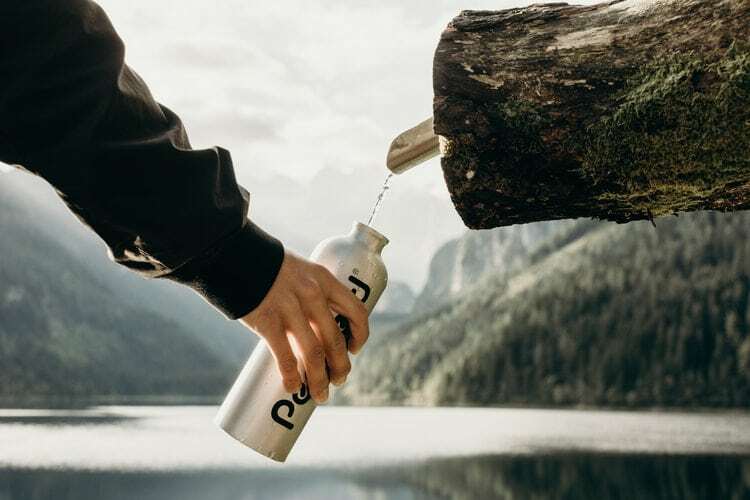 18/8 stainless steel keeps your favorite beverage fresh and pure, without any leftover flavors or odors.All Hydro Flasks use recyclable materials and are backed by the manufacturer's lifetime warranty. Bring the heat and keep Your cool. Do you need all-day insulation? This double-wall, vacuum insulated design ensures you’re the only one who will sweat. 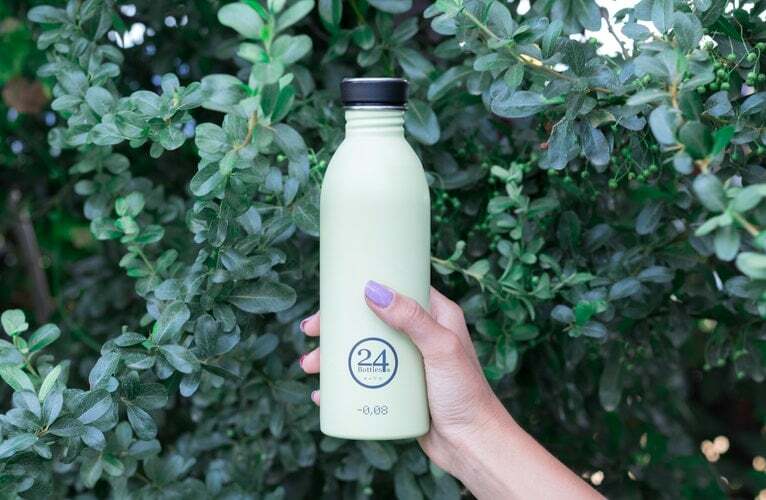 Completely condensation-free, our bottles keep cold cold for 24 hours + so you can enjoy all-day, ice-cold refreshment even when temperatures soar. It’s built to go the extra mile. First, they double powder coated the bottle for a sure grip and increased durability. It’s built tough to stand the test of time. Refill, reuse, refresh. Keep your cool over and over again. No more one-use cups, no more toxic plastics. They use only food grade, BPA-free, recyclable materials. Buy one for yourself and a few for the family. Now that you know all the benefits of using reusable water bottles, it’s about time to make a change. Help the environment and help yourself. If you're traveling to a developing nation, consider a purifying filtered water bottle. Do you have any questions or comments for us? Feel free to leave us a message in the comment section below. We will be sure to get back with you soon. Danielle Dougall is a photographer, avid writer, and traveler. Hailing from the rainy city of Seattle, WA she now lives in southern California where she enjoys longboarding, hiking, coffee shop hopping, and dreaming up destinations for her next international trip. Yes, I totally agree with what you said. I think that it is much better to use a reusable water bottle. I have saved a lot of money when I bought my own reusable water bottle. I also able to buy things that is more necessary rather than bottled water. This article is very informative. Thanks for sharing this article.